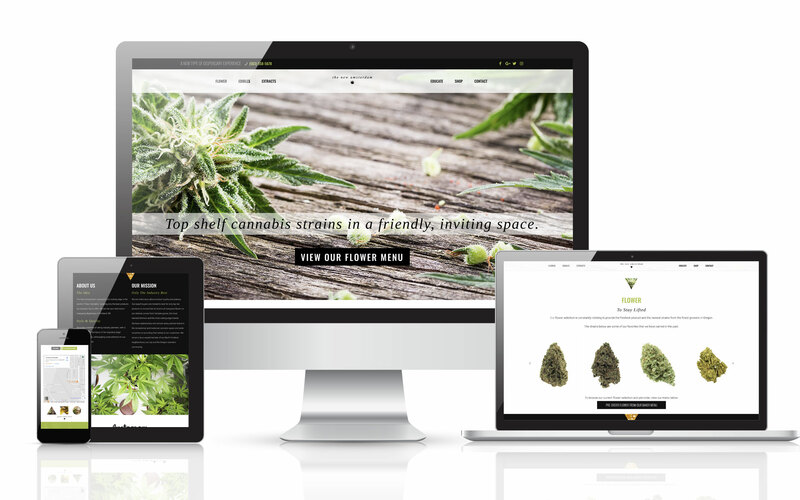 We met The New Amsterdam in early 2017 and were excited to work on this neighborhood cannabis dispensary website. Their location had a really interesting atmostphere inside and out, and they carried some of the best products we had seen in town. We set out to design a website that embodied their ethos, and began building based on the vision they had presented to us. Our job on this project was to redesign their old Squarespace website on our WordPress theme and add valuable content writing that their old site lacked. With a handful of high-end reference sites that the client provided, we were able to come up with a concept that matched their interior and had a nice, bright pop color that helped users feel those good vibes. After having several in-person and phone interviews with the owner, we started writing content for the homepage as well as the location page. Once we had finished the content, we made sure that the content we had written fell inline with their voice and identity.